Say goodbye to plastic and paper plates! 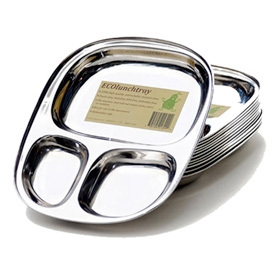 This stainless steel food tray is plastic-free, lead-free, BPA-free, phthalate-free & waste-free. It is perfect for your little ones for any meal or snack, and great for camping and picnics. Holds one main and two side dishes.